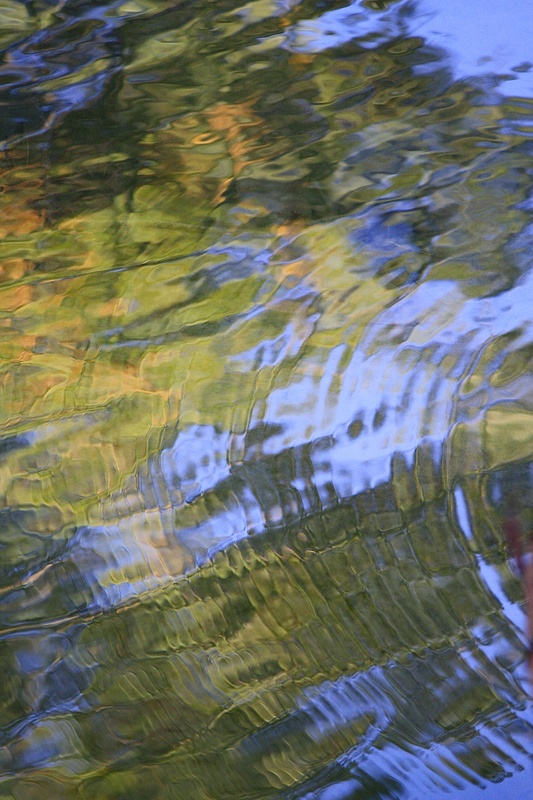 Image | This entry was posted in Field Notes, My Photos and tagged creek, nature photography, photography, reflected light, reflection, ripples, river, water, Wordless Wednesday. Bookmark the permalink. Hear, hear! So beautiful! What a treat to see this on such a hot day. Thank you, Mary. I love photography abstracts. I don’t find them often, but water and snow make good ones sometimes! I agree with Mary Eliza, this looks like art. Beautiful colors. Looks like stained glass. Beautiful. Thank you! The river behind my house on a windy day. I must have watched it for an hour! I’ll trade you the river behind your house for the junior high school behind my house! What a lovely set of ripples you have, Miss Eliza. Thank you, Jim! It was one of those perfect days! LOVE! So wonderful that mirror of water and the changing tide. I love the patterns water makes and hope to capture them someday in paint. I was fortunate enough to take some time yesterday to go to the lake – will never tire! Thanks, Kathy. It mesmerizes and soothes! Another day, another vision streaming into my living room. So grateful! Thank you, Albert, so glad you enjoyed it! Yes, it is. Thank you, Robin! There is no duplicating nature’s art! Lovely!